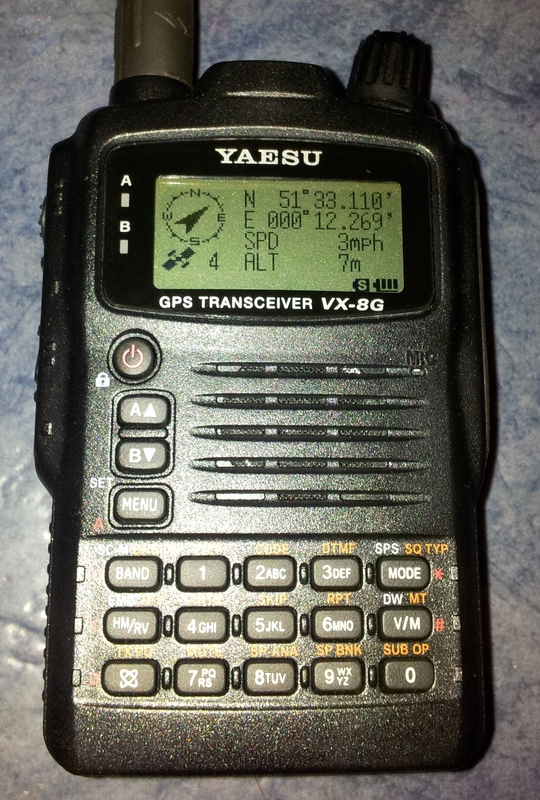 I bought a Yaesu VX-8GE to replace my old Yaesu VX-7R. 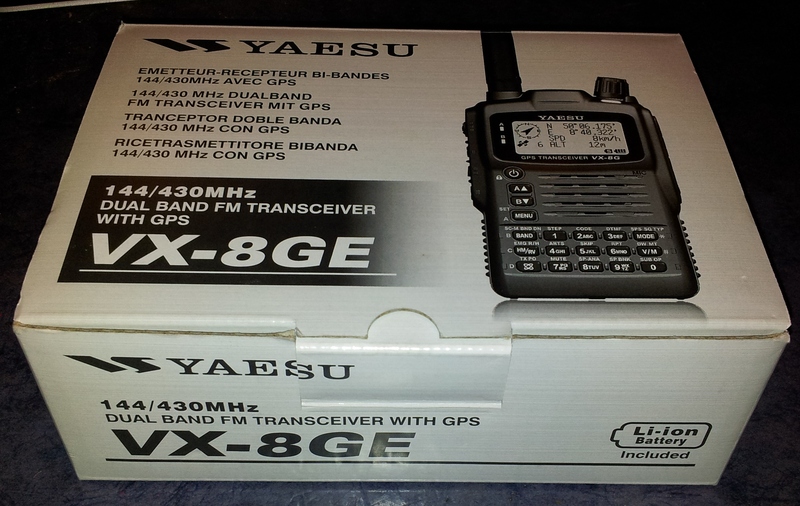 As one of my main interests is APRS and Packet Radio, I opted for the VX-8GE with the GPS built in. The other device, VX-8DE has the 6 metre band but the GPS is external (and an optional extra at ~£70) to make way for an optional Bluetooth module (also at ~£70). I was tempted to go for the Bluetooth device, but in the end settled for the internal GPS for convenience and because it is the cheaper option – I wasn’t concerned with 6 metres at all, and Bluetooth is just too expensive for the return. I’m pleased with my choice! I purchased the radio on the spur of the moment at the Kempton Park Rally, Sunday 22nd April 2012. I walked away with the device for a good price of £320. This is at least the cheapest I’d seen anywhere to date for sale in the UK, so it’s not bad. Cheaper options of importing the radio from China work out at about £280, but that doesn’t include the 2 year warranty and a local place to return the item should I need to. I’d done a bit of research into the prices beforehand, and as always it paid off. Thought the purchase was on the spur of the moment, I had been intending to buy one for a few months. After speaking with the Yaesu sales rep to find out which radio suited my requirements most, I made the steal! Getting started was a breeze and I was soon up and on APRS. I was able to receive stations almost immediately, and view the basic data from stations in the Station List. I intend to take the radio on my belt into Central London to see how it follows my route.